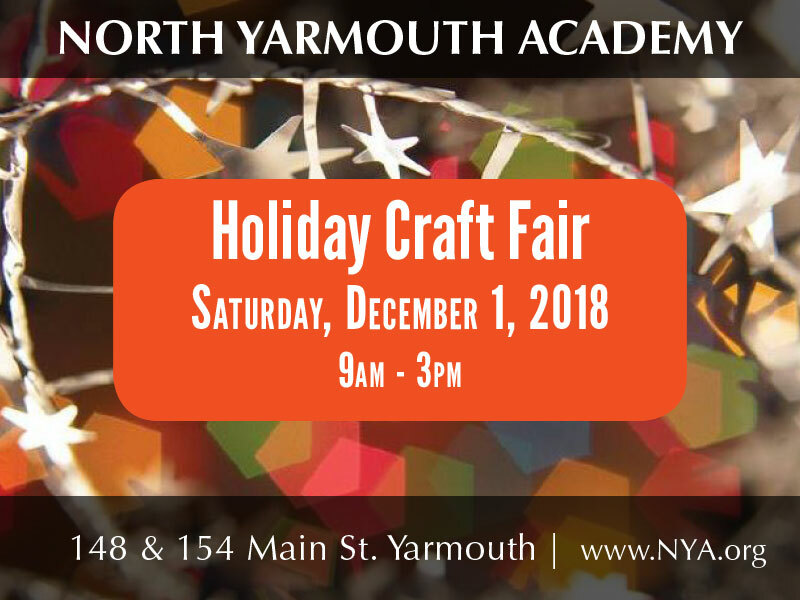 The North Yarmouth Academy Parents’ Association will host the Annual Holiday Craft Fair and Book Sale on Saturday, December 1, 2018 from 9:00 a.m. to 3:00 p.m. in NYA’s gymnasium (154 Main Street) and Safford Center cafeteria (148 Main Street) in Yarmouth. This event is part of the town-wide holiday celebration, Yarmouth Hometown Holidays. Over 60 vendors from across the state will present a diverse variety of crafts including artwork, photography, jewelry, candles, soap, alpaca products, blown glass, woodworking, and much more. Enjoy a sit-down lunch at the NYA Café and listen to holiday music by the NYA chorus. Money raised from booth rental fees will help support NYA teacher and student grant requests. There are no longer booth rentals available – the fair is currently full. Crafters who would like to be placed on next year’s mailing list may email the craft fair manager. North Yarmouth Academy is an independent, college preparatory, coeducational school for toddlers to students in grade twelve. Since 1814, NYA has fostered integrity, character, and intellect in its students.